Provide an additional touchpoint for more frequent brand exposure to your customers. Utilising valuable wall space, the Genus® Eclipse Ultra is an effective way to promote your brand to your customers throughout the day. Genus® Eclipse Ultra is the best in its class, incorporating Translucent TechnologyTM to provide the widest UVA coverage resulting in faster fly catch and better hygiene in front of house locations.  It takes just a few seconds to swap the insert to a new brand message or promotional offer! 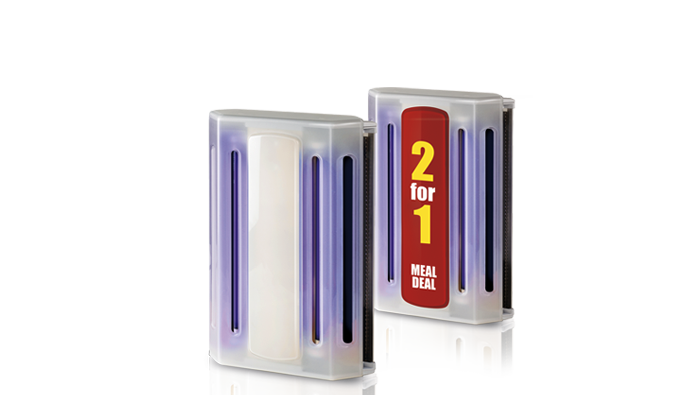 The Genus® Eclipse Ultra has a unique customizable front insert which can be changed quickly and easily at any time. The Genus® Eclipse Ultra provides quick, tool free access for cleaning and servicing of the lamps and glue board. It has no sharp corners to snag fingers or catch cleaning cloths. These features provide faster and easier servicing of the unit to keep the equipment looking good and providing peak fly catch performance. The glue board used in the Genus® Eclipse Ultra is the Brandenburg universal glue board, which allows for simplification of inventory and eliminates lost time through wasted calls with the wrong consumables. A powerful advertising tool, yet discreet insect light trap, providing increased hygiene for public sensitive areas. One of our dedicated expert sales staff will contact you by return. © 2014 Brandenburg NA. ‘Genus’ is a registered trademark of Brandenburg UK Ltd.